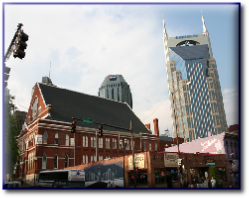 Find Out About Music City & the Nashville Area! Click one of the links as you hover over the Music City button above to find out more about what the Nashville area offers and for great relocation information, whether you are looking in Nashville, Brentwood, Franklin, Belle Meade, Green Hills, Bellevue, Donelson, Hermitage, Madison, Antioch, Nolensville, Fairview, Goodlettsville, Thompsons Station, Spring Hill, Hendersonville, Gallatin, Smyrna, Lavergne, or Murfreesboro! Search ALL Active MLS Listings NOW! Click the Buyers button above for more information, or if you're anxious to get started searching, simply enter your search criteria to the left right now to search ALL of the active listings in the Nashville and Middle Tennessee MLS system! The email address you enter at the top left is your "key" to login and access your property search, last viewed, and FAVORITES list from ANY computer or SmartPhone. Once you enter your email address to SAVE your property search, you can then save any home you like to your FAVORITES list, so you can access them later. Once you're registered, you'll have the option to enter your mobile number to get FREE Text Notifications when properties are listed that meet your search criteria! 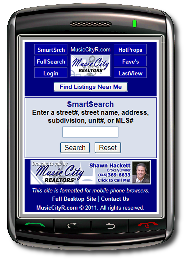 Plus, as a registered buyer, you can access your saved property search at MusicCityR.com on your SmartPhone. Then when you're out driving around the Nashville and Middle TN area and you see a home you like, you can enter the address, or click the "Find Listings Near Me" button to pull up ALL of the active listings around you at that particular time and location. This is a really cool feature! NO OTHER AGENT offers this feature on their mobile sites... if they even have a mobile site at all. TRY IT NOW! BOOKMARK MusicCity.mobi on your SmartPhone! If you're not working with an agent to show you homes, my team and I would love to help you find the PERFECT home as your buyer's agent. You need representation when buying a home, and we can walk you through every step of the process and help you negotiate the BEST possible price. Just contact us when you're ready to buy! Our Marketing Plan Can't Be Beat! Click the Sellers button above to find out about our comprehensive, unique marketing plan that will give your home maximum exposure to buyers. You can also get an online estimate of the range of your home's current value. NO ONE ELSE can compare when it comes to marketing YOUR home, so don't trust the sale of your most-valuable asset to ANYONE else! 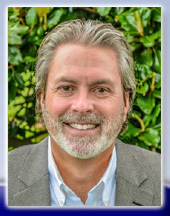 Whether you are searching to BUY your next home, SELL your existing home, or if you just want to get more information about Music City and its surrounding areas, my team at Music City, REALTORS is ready to serve your needs!